The New York Musical Festival and White Elk Productions are presenting Pedro Pan, book by Rebecca Aparicio and Music/Lyrics by Stephen Anthony Elkins. 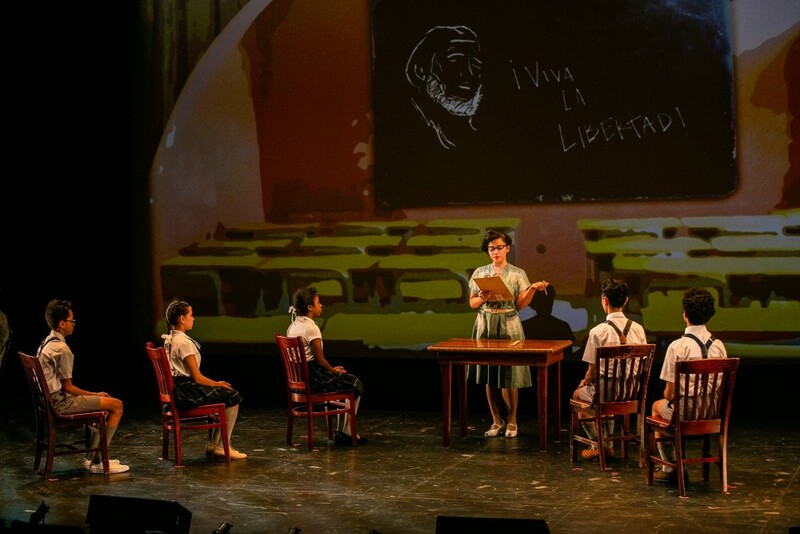 With fine direction by Melissa Crespo, Pedro Pan is a poignant and uplifting musical based on actual events surrounding Operation Pedro Pan. One of the key themes of this musical highlights the difficult decisions parents make to keep their children safe from political and social upheaval. 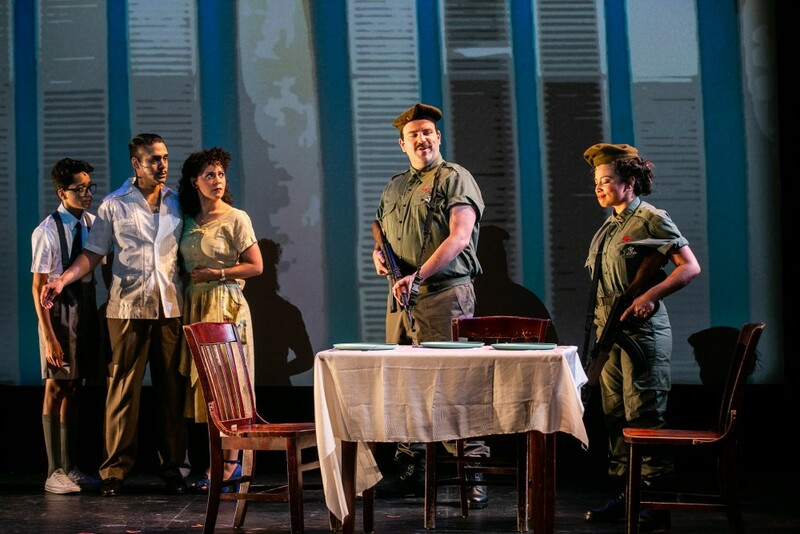 Though Pedro Pan essentially takes place during the aftermath of the Cuban revolution, the issues the musical touches upon encompassing immigration, adjustments to a new culture, language barriers, family separation, social rejection and cultural isolation remain completely relevant for us today. During Operation Pedro Pan (which took its name and ethos from J.M. Barrie’s Peter Pan) more than 14,000 Cuban children were transported on flights to the United States so that they would not be brought up under communism. Parents who made the difficult decision to send their children unaccompanied to the US feared that if they remained in Castro’s Cuba, their children would end up in Soviet Labor camps or in the military, bullying and monitoring citizens to “toe the line” in support for Castro’s government. The operation, which was the largest recorded exodus of children in the Western Hemisphere, took place from December 1960 to October 19, 1962. In Rebecca Aparicio’s Pedro Pan, we witness one family’s angst and the troubles they encounter while deciding to send their son Pedro to a new country where he might remain safe from the deteriorating political conditions in Havana. Giving up his home and friendships and saying “goodbye” to his parents becomes the initial focal point of the musical. However, after Pedro arrives in New York City and faces the vicissitudes of rejection at school and cultural barriers, he is able to make friends and form his own group with whom he feels comfortable. Gregory Diaz IV is an effecting and talented Pedro who represents the children of Pedro Pan. His experiences characterize elements of trepidation, sadness and trauma that each child who left Havana and landed in the US most probably faced. With verve, vitality, and emotional grist, Diaz IV authenticates the arc of Pedro’s development. 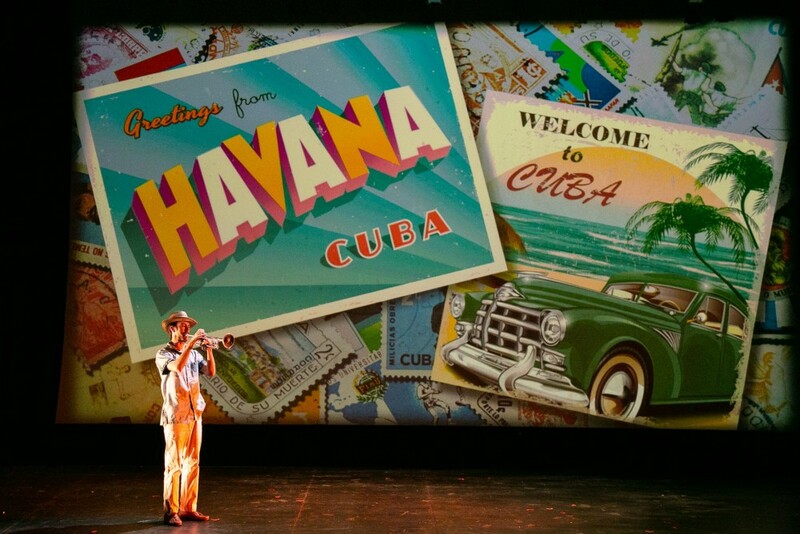 On his journey, Pedro travels from his roots in Havana where he plays baseball and attends the gradually militarizing school which demands adherence to Castro’s government (supported by songs “Havana, Como Te Quiero” and “Viva La Libertad!”) to the point where he and his parents must confront the necessity of his leaving. (“What is Best for Our Son,” “Fly”). After he journeys to New York City to stay with his Tia Lily (in a fine portrayal by Natalie Toro), who sings “This is What I Call Home,” Pedro attempts to adjust to his new life. He overcomes rejection as the “new kid” in school, makes friends (“We Won’t Stand Out,” “Beautiful”), and compromises with the hardships he must face (“Why Can’t I Just Be A Kid”). Making peace with himself and Tia Lily after she explains why she left Cuba and the status and importance of the life she lost, he settles into an acceptance and contentment (“This Too Shall Pass,” “This is What I Call Home”). Pedro’s parents, Papi and Mami, portrayed movingly by Wilson Jermaine Heredia and Genny Lis Padilla, manifest the hopes and dreams migrant parents have for their children as they send them off, many times unaccompanied to an uncertain future in a foreboding culture. The wish always is that their children have a better life where the social structure is more stable and the economic conditions more viable. Of course what the family and children like Pedro must go through is heartbreaking. Indeed, this musical is an important reminder that no one leaves one’s homeland “for a lark.” There are always mitigating circumstances and the bonds one leaves behind are broken can never be regained. However, new relationships help. Pedro’s friends, the adorable Roger and Wendy, (Julian Silva and Taylor Caldwell are just smashing in these roles), provide the support, courage and strength Pedro needs to make it in his unfamiliar and oftentimes unwelcoming new home. Pedro Pan which runs 75 minutes with no intermission is an important musical for our time. The music and lyrics deliver, and the projections, props and costumes evoke time and place effectively. Kudos goes to the artistic team.